We all like stuff that has multiple uses but when those uses can be lifesavers it’s an added bonus. 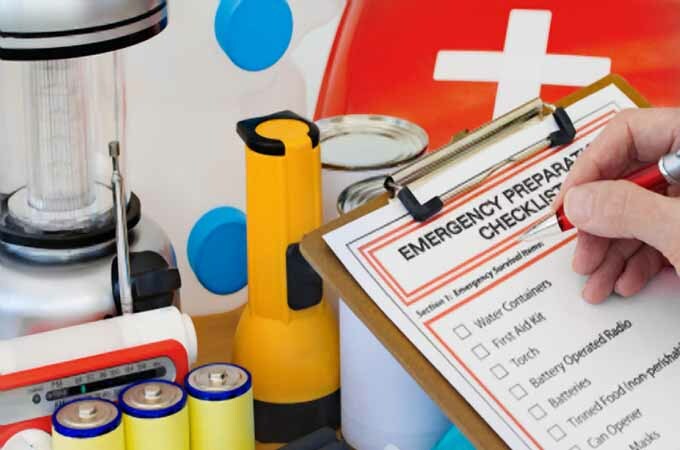 The ability to adapt and use what you have to hand in an emergency situation can literally mean the difference between life and death.Here are 20 everyday items that will come in very handy during a crisis. Hand sanitizer: Okay it kills germs in normal situations but in an emergency it makes excellent fire lighter gel. Squeeze a little into you palm and work it over your less than optimum tinder. Dry you hands and light the fire. Keep a needle in the box, and it becomes a sewing kit. Baking soda: Cleans your teeth and puts out small fires so they don’t turn into big fires. Sugar: Those little sachets are well worth keeping and good for more than sweetening your coffee. Pour directly into an open wound to keep it clean. Put a dressing over the top and your infection risk is massively reduced. Hold wound dressings in place. Strain debris out of water prior to boiling. Collecting container for foraged edibles. Filled with stones it becomes a very handy cosh. Use as an extra layer over gloves…or as gloves if you have none. Trash bags: Poke a hole for your head and arms to make a waterproof rain cover that adds an extra layer of insulation in bad weather emergencies. They can also be used as a sling and a strip of it can be used as a tourniquet. They are great for moving heavy loads or people. Cut off the bottom so you have a tube of plastic. Roll the load to be moved onto its edge, or the person onto their side, and slide the bag under, one closed end under the load, one facing the direction of movement and lower the load/person. As you push the load/person it will move effortlessly as the bag layers slide over one another. Repeat as required. Works great to move furniture around too. Eyeglasses: They can save your life just by letting you see traffic, but in an emergency you can use them as a magnifying glass to start a fire. A can of soda: Well having a drink in an emergency is a good start. Shaking the can and popping the pull ring can startle attackers, if you can get their eyes all the better. The bottom makes a highly useful signal mirror. The empty can, can be used to collect water…and to boil it. Soda cans are easy to break, the metal is sharp and can be fashioned into a reasonable knife. Make it into a pocket stove. Instructions here. They stretch enough to put items inside that you want to keep dry. They will hold up to a gallon of water though half that amount is better to prevent bursting. Over the muzzle of a gun they keep debris out. They are useful for holding dressings in place. Sanitary pads: Excellent pressure dressings. Tape down tightly extending tape at least three inches over all sides. The wadding makes good tinder. Tampons are excellent for plugging penetrating wounds. Not to be used on chest wounds unless you are sure that both lungs are still intact. To check put your ear near to the wound, if you feel air on your face do not plug the wound, make a flutter valve instead. See below. Charcoal: Break it up and put it between layers of fabric to purify water. Maybe one of those socks we mentioned? Super glue: Closure of long, shallow wounds if sutures are not available. The wound should be cleaned first. A strip of bicycle inner tube: Makes a great tourniquet. Burns like hell even when soaking wet. Plastic bags: Ideal for keeping germs out of wounds on the hands and for preventing infection in burns. Flutter valve for a penetrating chest wound. Sick the bag down on three sides over the wound. Air in the chest cavity will be allowed out, but inhaling will draw the bag to the wound preventing air getting in. Can reinflate a lung quite nicely in a few minutes. Credit card: Can make a decent flutter valve for a small chest wound. Fix on three sides only and leave it be. The plastic used for credit cards burns long and hot. Plastic outer case of a pen: In a situation where you cannot purify drinking water put a little charcoal in the bottom, or close weave fabric over one end of a plastic pen case and use as a filter straw. Bandana: Many, many uses for this small piece of fabric. Sling, dust filter, washcloth, around your neck to hold heat in, on your head to keep heat out, water filter, tourniquet, wound dressing. Petroleum jelly/chap stick: Both burn well and smearing either over scratches will stop them oozing and keep germs out. Putting behind a campfire so heat is reflected towards you, pile up stones or earth and cover with the blanket and the heat output of the fire goes up dramatically. Alternatively put around the sides of a makeshift shelter to prevent heat loss. Contributed by Lizzie Bennett of Underground Medic. Lizzie Bennett retired from her job as a senior operating department practitioner in the UK earlier this year. Her field was trauma and accident and emergency and she has served on major catastrophe teams around the UK. Lizzie publishes Underground Medic on the topic of preparedness.